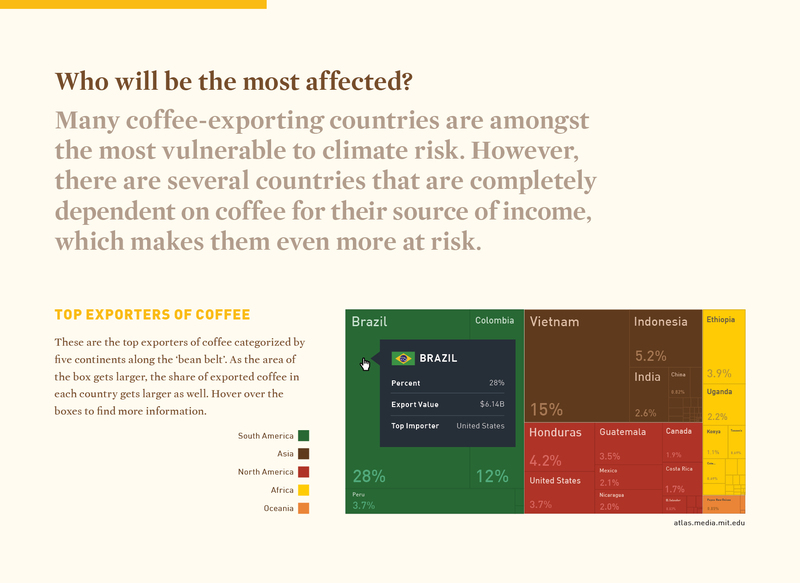 This infographic is a single-page scrolling website that shows how coffee crops have been impacted by climate change, and what additional impacts will occur in the future if warming continues. Each section allows users to interact with charts and diagrams to process and take in the alarming facts and information given. 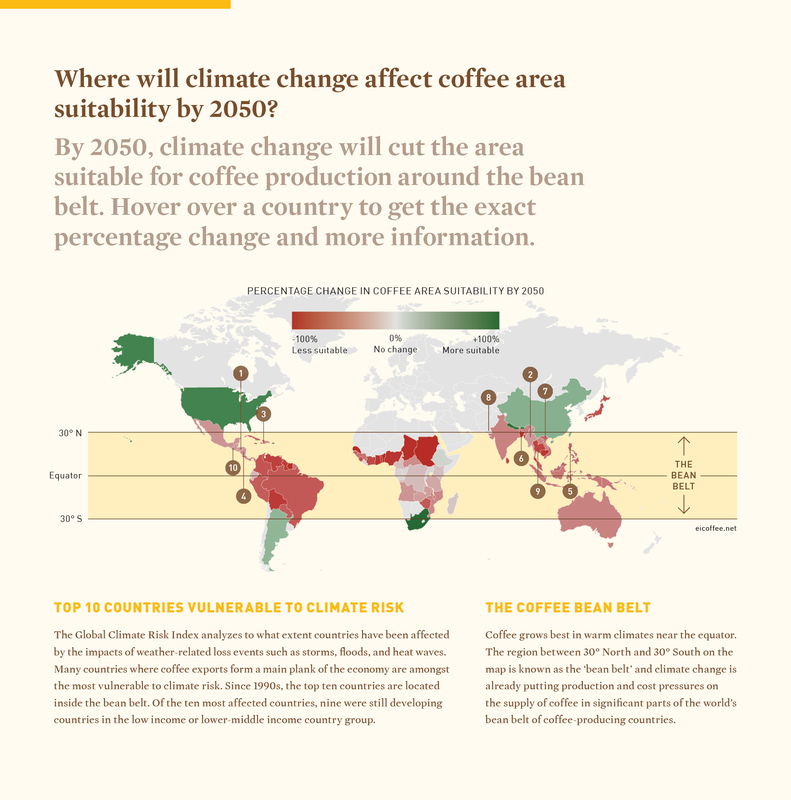 From credible sources, it is revealed that climate change will cut the area suitable for coffee production around the equator by 2050, but there are ways to stop it from happening.